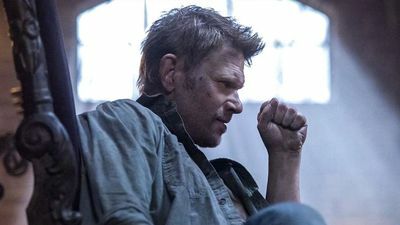 Here's where to watch every episode of Supernatural season 12. Mouseover or tap an episode to see where to stream it. Click or tap the play icon to stream it on the best available service. Keep Calm and Carry On Oct 14, 2016 Dean is overwhelmed as he comes face to face with his mom, Mary Winchester. Meanwhile, Sam is fighting for his life after Toni, from the Woman of Letters, shot him. Mamma Mia Oct 21, 2016 Dean, Castiel and Mary have a lead on Sam and set out to rescue him. Dean is uncomfortable with putting Mary in danger but she insists on going along. Meanwhile, Crowley is tipped off that Lucifer has taken over the body of rock star Vince Vicente. The Foundry Oct 28, 2016 When a crying baby leads to death in a mysterious abandoned house, Mary, Sam and Dean decide to investigate. 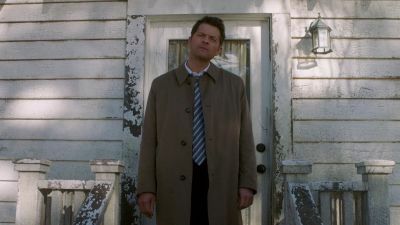 Meanwhile, Castiel’s hunt for Lucifer leads him, begrudgingly, to partner up with Crowley. 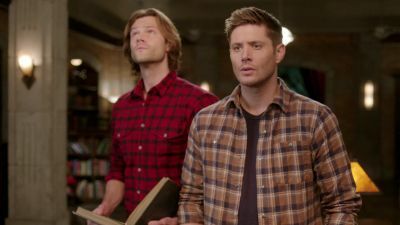 American Nightmare Nov 4, 2016 Sam and Dean investigate a case that leads them to a devout religious family that lives off the grid. The brothers realize that the parents are hiding a huge secret that could destroy them all. Meanwhile, Dean struggles to accept Mary’s latest decision. The One You've Been Waiting For Nov 10, 2016 After learning that the soul of Adolf Hitler has been trapped in a 1930's gold pocket watch, Sam and Dean must act quickly to prevent a group of Nazi necromancers from resurrecting the Führer. The One You’ve Been Waiting For Nov 11, 2016 After learning that the soul of Adolf Hitler has been trapped in a 1930’s gold pocket watch, Sam and Dean must act quickly to prevent a group of Nazi necromancers from resurrecting the Führer. Celebrating The Life Of Asa Fox Nov 18, 2016 When hunters gather together to celebrate the life and tragic death of one of their own, Sam, Dean, and Mary must take action when a demon starts picking off hunters one by one. Rock Never Dies Dec 2, 2016 Lucifer realizes that as rock star Vince Vincente, he can get his fans to do whatever he wants. Thrilled with this power, Lucifer arranges to play a secret VIP concert in order to kill all of them. 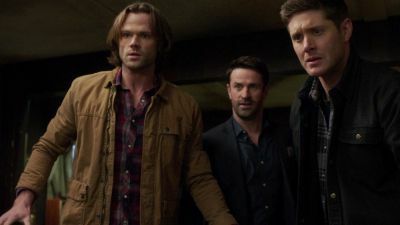 Sam, Dean and Castiel enter the underbelly of the music industry to try to stop him. LOTUS Dec 9, 2016 Lucifer’s search for power and influence in a vessel lands him in the White House. 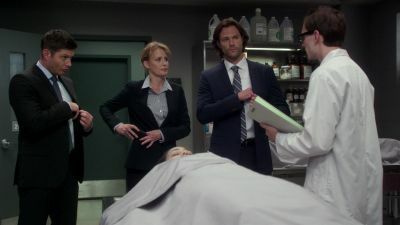 The President of The United States unknowingly makes a deal with the devil, leading Sam, Dean, Castiel, Crowley and Rowena to band together to fight the Dark Lord. First Blood Jan 27, 2017 After being arrested for the attempted assassination of the President of The United States, Sam and Dean must find a way out of an underground, government-run, detention facility in the middle of nowhere. 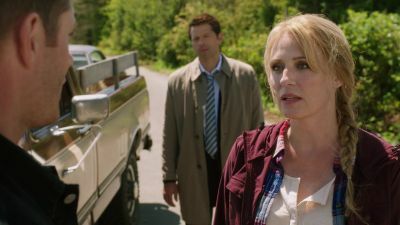 Determined to find her sons, Mary and Castiel seek assistance from an unlikely source. Lily Sunder Has Some Regrets Feb 3, 2017 Lily Sunder steeps herself in black magic, honing her powers for over a century, waiting to exact revenge on a band of angels that murdered her family. 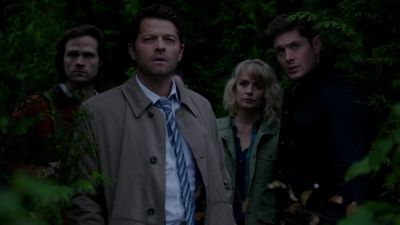 Sam and Dean must work quickly to stop Castiel from becoming her next victim. 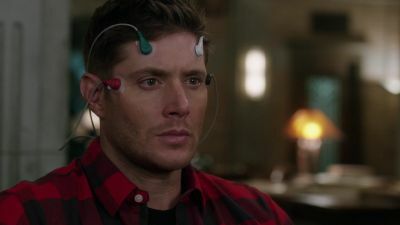 Regarding Dean Feb 10, 2017 Sam enlists Rowena’s help to track down an old world, powerful family of witches after Dean gets hit by a spell that is rapidly erasing his memory. 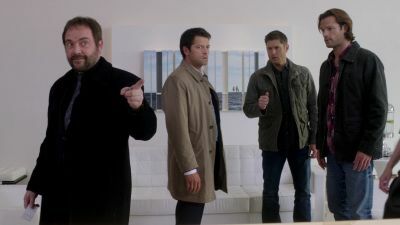 Stuck in the Middle (With You) Feb 17, 2017 Mary asks Sam, Dean and Castiel for help on a case she’s working but neglects to mention the British Men of Letters are involved. When Mary is double crossed, everything is revealed. Family Feud Feb 24, 2017 When Sam and Dean look into a murder at a museum, they learn a ghost from a merchant ship that sunk in 1723 may be at the heart of the mystery. 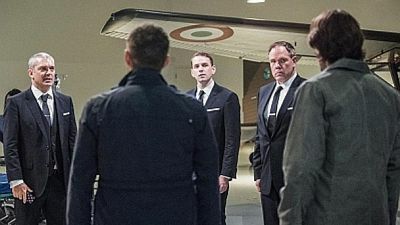 After realizing “The Star” was the same ship that Crowley’s son Gavin McLeod should have been aboard, they enlist help from Rowena to track Gavin down. Kelly Kline, still pregnant with Lucifer’s child, takes refuge with a demon after an angel attempts to kill her. 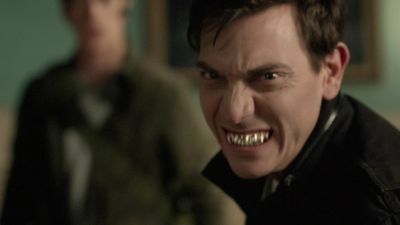 The Raid Mar 3, 2017 A chance to take out a nest of vampires backfires when the alpha-vamp shows up and turns the tables on Mary and the British Men of Letters, who are doing their best to recruit Sam and Dean. Somewhere Between Heaven and Hell Mar 10, 2017 An attack by an invisible hellhound at a campsite leads Sam and Dean to investigate the mysterious circumstances. 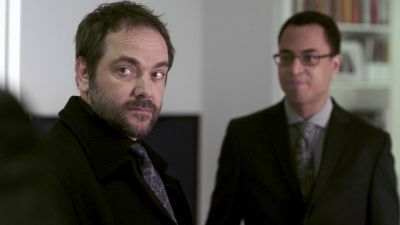 Meanwhile, two of Crowley’s own personal demons uncover what he has been hiding. Castiel gets a lead on Kelly Kline. Ladies Drink Free Mar 31, 2017 Sam and Dean let Mick Davies tag along on a case as they search for a werewolf. The three men run into Claire Novak, also working the hunt. 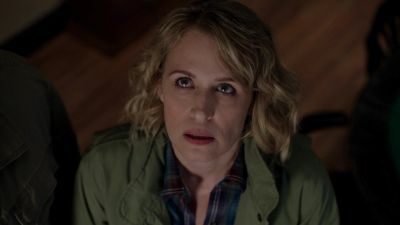 However, the reunion is short lived after Claire is bitten and the brothers race to find a way to help her before she turns. 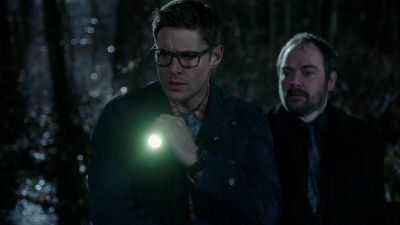 The British Invasion Apr 7, 2017 Sam and Dean get a lead on Kelly Kline’s whereabouts. Mick drops by the bunker unexpectedly and decides to join the hunt. 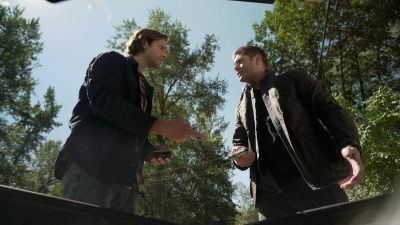 The Memory Remains Apr 14, 2017 Sam and Dean investigate a missing person’s case in a small town. 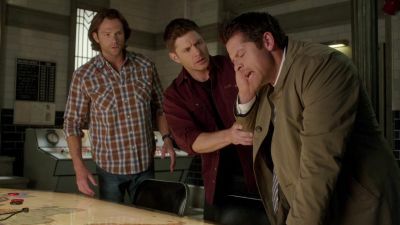 The lead witness tells the Winchesters the attacker was a man with the head of a goat. 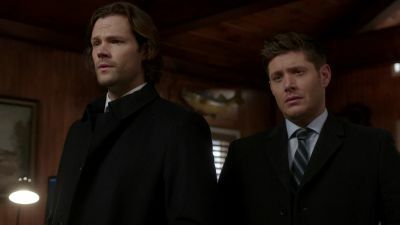 Sam and Dean aren’t sure what to believe but when the witness goes missing they realize the town is hiding a dark secret. 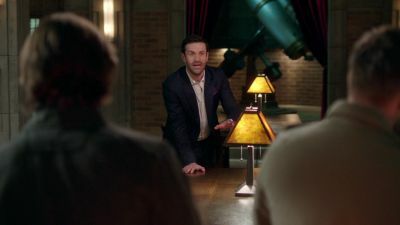 The Future Apr 28, 2017 Sam comes up with a way to stop Lucifer’s baby but Castiel has something else in mind for Kelly. Dean is furious when he finds out someone stole the colt. Kelly makes a bold choice about the baby’s future. Twigs and Twine and Tasha Banes May 5, 2017 Alicia Banes calls Mary for help after her mother, Tasha, goes missing. 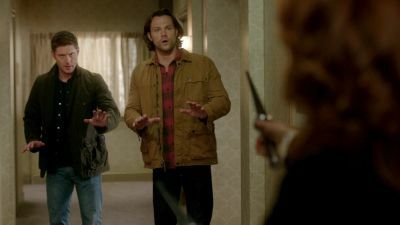 Sam answers Mary’s phone and he and Dean head out to help Alicia and her twin brother, Max, find their mother who was hunting a powerful witch. Meanwhile, Mary starts to have some doubts about the British Men of Letters. 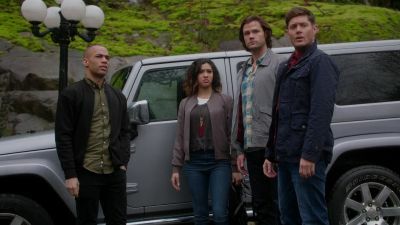 There's Something About Mary May 12, 2017 Sam and Dean are alarmed when they learn hunters are being killed by suspicious “accidents” all over the country. They decide it is best to find Mary and make sure she’s safe. Meanwhile, Toni is back in the states and she and Mary face off. 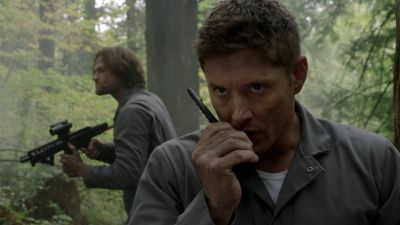 Who We Are May 19, 2017 Caught in a dangerous situation, Sam and Dean only have each other to rely on. Meanwhile, the fight between the American Hunters and the British Hunters comes to a head. 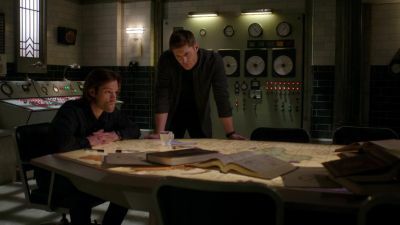 All Along the Watchtower May 19, 2017 Lucifer battles Sam, Dean and Castiel for control of his unborn child.